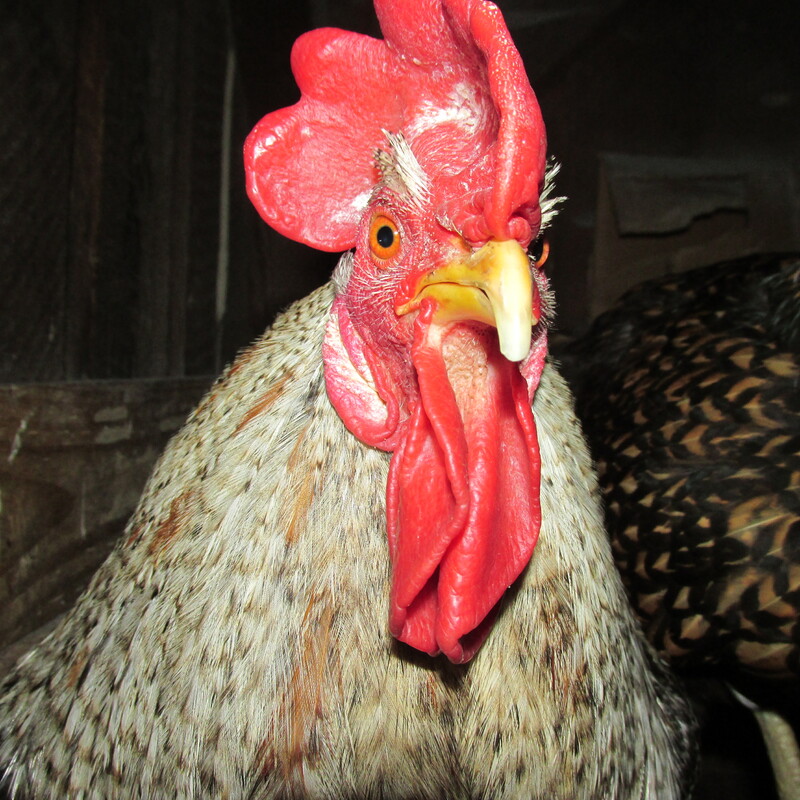 Murphy the best rooster in the world! It was a busy morning trying to get everyone fed and some wool dyed and some kits for the show made up and then get to Metaphor Yarn for some demonstrating time. 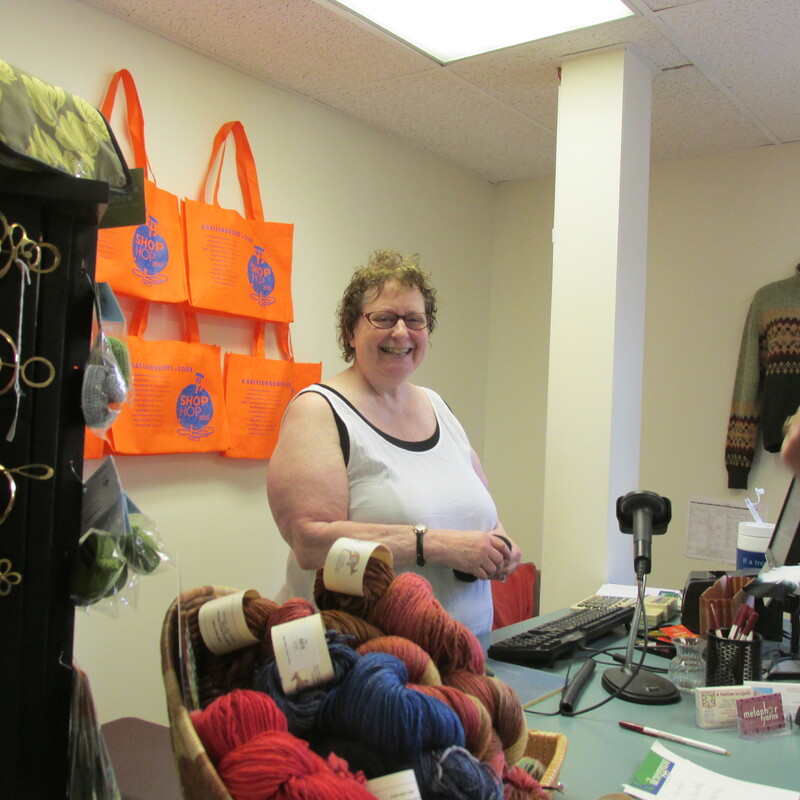 Today is the start of a 4 day Knitting Shop Hop Tour from Putney , Vermont to East Haven , Ct. The shops are all located on the I-91 corridor, making it easy on and off, easier to find eating places and places to stay. Its run like the Crafts of Colrain with a passport and a chance for a grand prize if you visit each store. 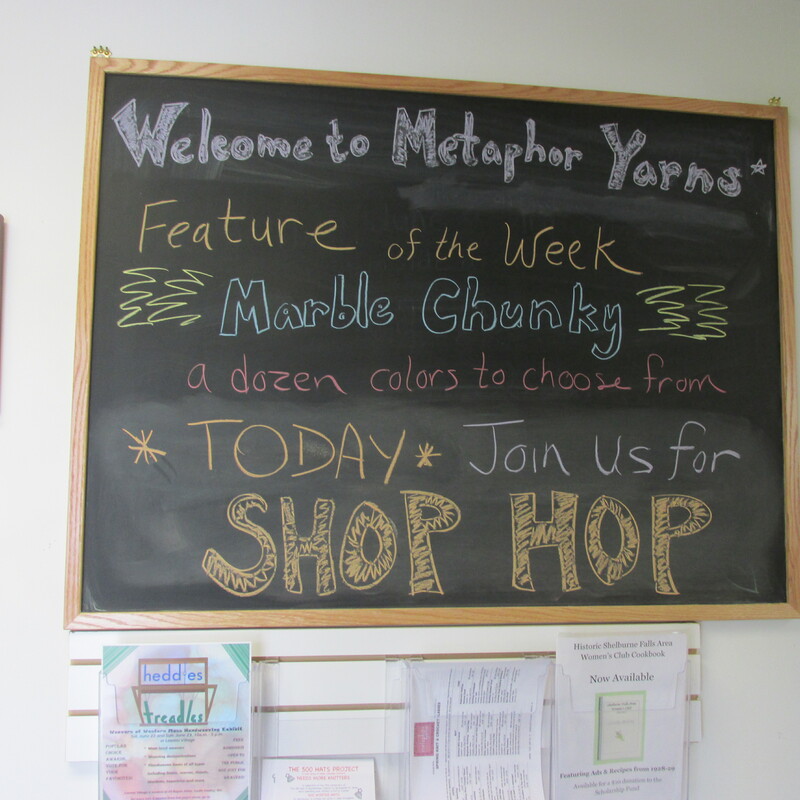 In talking with Meta the owner it seems that small knitting shops are competing with the internet. I think all local businesses compete with the internet. There are a lot of advantages to the internet, not having to leave your house is the one that appeals to me. On the other hand local shops offer things the internet doesn’t have. like local yarns and specialty items, personal service. Also there are classes, field trips etc. I do buy things on the internet like the yogurt maker, but really try to think of local products that will fit the bill for what I need. Meta is having various people come in for a couple of hours on each of the days. I enjoyed my time there and met some interesting people. 2 sisters came in and said they were from Pa. Well they were from Oxford and when I would visit my family in Maryland we would go to a carnival there. 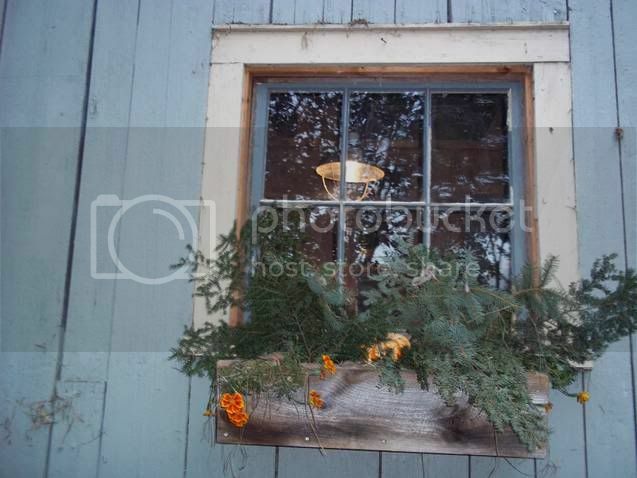 We had a lot to talk about and it brought back many wonderful memories of that beautiful area doted with Amish Farms. Joe called and said he knew of someone who could make me the dumb waiter and has made them before for people. I called him and left a message. 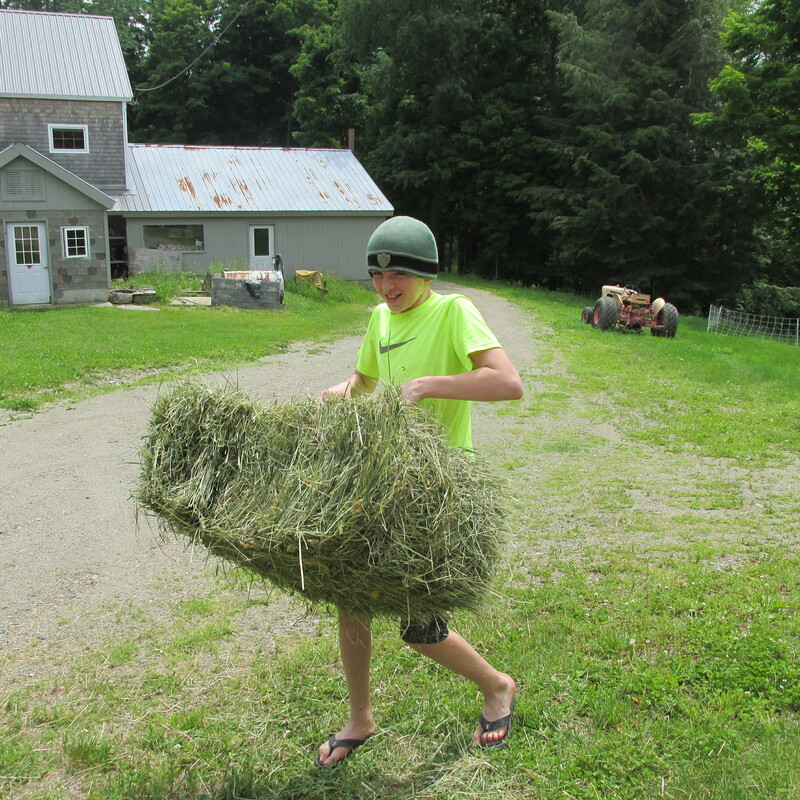 Meanwhile we needed more hay so Chris and I got 8 more bales and he put them away for me. I hope that I can get that installed soon, it will be wonderful not to have to lug heavy grain bags, shaving and hay up those stairs.